So excited that Brave Girl Art School has started up again. Brave Girls Club is a really important part of my life. It is not about the art to me, although any excuse to make art always a good thing for me. 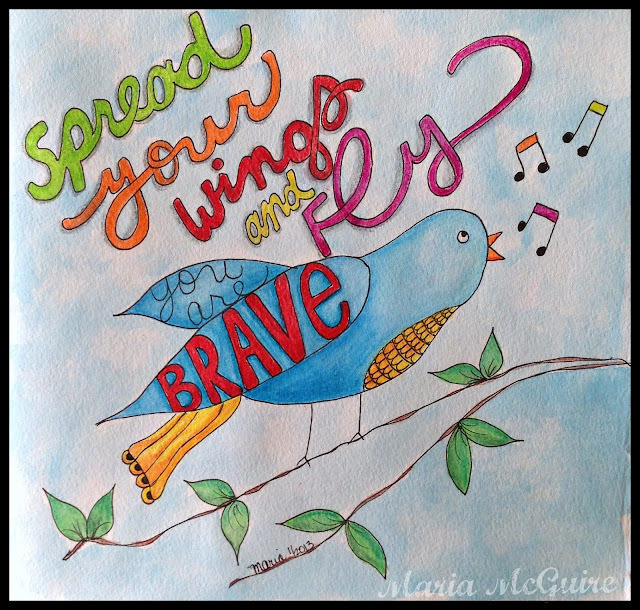 It is about what I learn with the art I make for Brave Girl projects. Here is my first project for this session. I had so much fun just drawing away on the couch. One of my favorite ways to make art! Sing little birdie! You have an important message!